The TI NSpire was a revolutionary calculator. 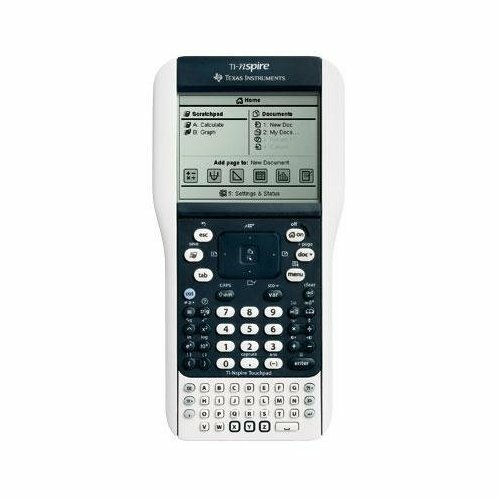 Just recently TI took it to the next level with a new version of the TI NSpire operating system, an upgraded calculator, and a new Touchpad for the TI NSpire. The new and improved Touchpad includes all of the buttons on the old TI NSpire “Clickpad” in addition to a new mouse-like pad that makes scrolling much easier. TI’s new Touchpad has improved in many ways—it features a new rectangular pad that allows you to control the cursor easily, the buttons have been rearranged to make typing easier, and some of the buttons have been relabed to fit the new TI NSpire OS’s new functions. One huge difference between the old keypad and the new Touchpad is the location of the letter keys. A huge complaint with the previous NSpire was that the letter keys were easy to accidentally press. I myself have experienced this, often typing “30*5n0” instead of “30*50”. The new location of the letter keys helps those with larger fingers type more accurately. You may notice that the keyboard is still not a “qwerty” or similar layout–the “qwerty” keyboard was one feature that disqualified the TI-92 from being used on the SAT and other standardized tests, so TI made a wise decision when sticking with the “abcd…” layout. Owners of the “older” TI NSpire with the Clickpad (such as myself) will be happy to know that you can upgrade to the new Touchpad. Touchpads can be bought with an entirely new NSpire calculator for around $150.00 or separately for as little as $15.00. With the new Touchpad, TI is releasing a new calculator body as well. This body looks very similar to the old TI NSpire—wide at the top, narrower at the bottom. However, the new TI NSpire comes in a few new colors—white and black. The black version of the TI NSpire is the CAS model. The CAS model comes with Computer Algebra System capabilities, which basically allows you to manipulate mathematical expressions in symbolic form. The non-CAS version comes in white and dark blue—a difference contrast from the light blue case that the original NSpire was released with. The newest TI NSpire models come with a new and welcomed feature—rechargeable batteries. But be warned—these batteries do not usually come with the actual handheld but need to be bought separately. The rechargeable batteries will run you about $10.00 to $15.00, but it is worth it if you are burning through the traditional AAAs. You still have the option of using the regular AAA batteries with the new NSpire in addition to the new rechargable batteries. 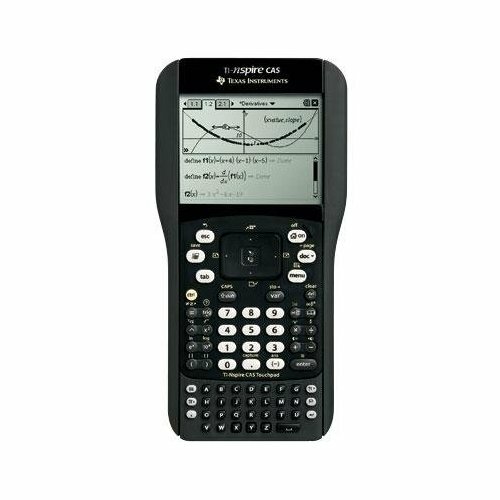 Overall, the new TI NSpire is worth the upgrade for TI-83+ and TI-84+ users looking for a new calculator. However, if you are currently a TI NSpire owner and can live with AAA batteries, you can save a ton of money by buying the new Touchpad separately. This is the best product ever. I bought it at the beginning of the school year and havent stopped using it yet. Defently something that helps a ton. Definitely love the TI-Nspire touchpad. Really looking forward to seeing the new TI-Nspire CX in action.